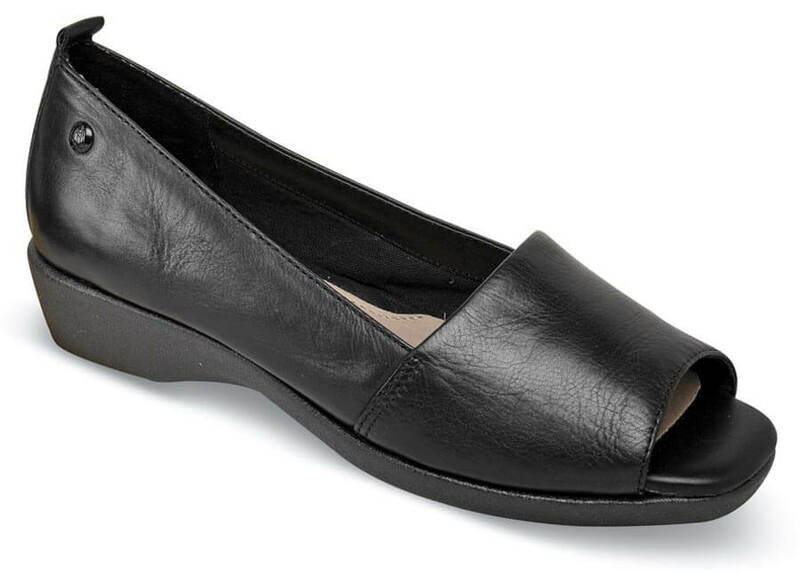 The black leather uppers of the open toe "Petra Carlisle" 1¼-inch low-heel slip-on from Hush Puppies have soft, breathable microfiber linings and padded insole. 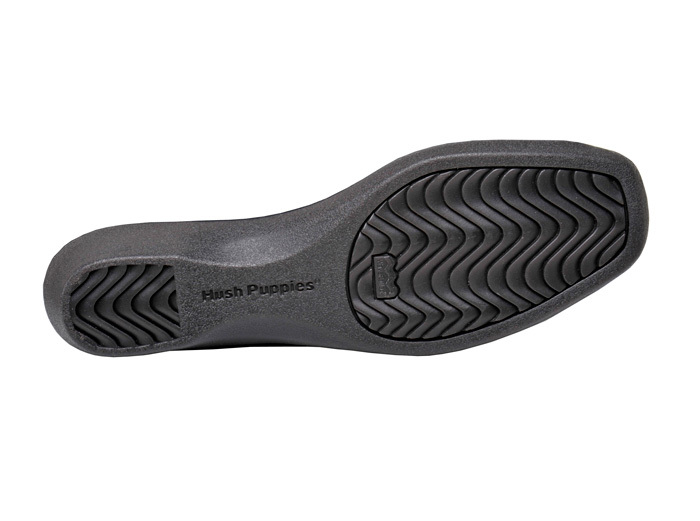 The HPO2Flex™ triangle design of the EVA/natural latex rubber WaveReflex®sole flexes naturally with your foot as you walk. ON SALE! Originally $78.95. Limited stock in women’s EW (2E) width in sizes indicated.